Left of Center Creative Challenges: 1st Anniversary Event Day 18! 1st Anniversary Event Day 18! What a fabulous shed load of inspiration, I hope you have all enjoyed the second week of our event! I'm sure you all know by now - we will have projects daily for you here, all the links you need are at the top of the blog and the top of this post! We have only 7 days left for you to join in! We have a treat for you today! Some of you may know that I did not start this challenge blog and that we would not be celebrating a year of Left of Center Creative Challenges if not for its founder! 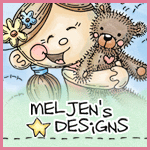 The Fabulous Carla Hiebert is joining us today with a fabulous card using an image from Meljen's Designs! We are thrilled that Carla has created this for us. When we initially approached her about it she was on hiatus from cardmaking, we are so glad she has taken up her paper and scissors and couldn't stay away! 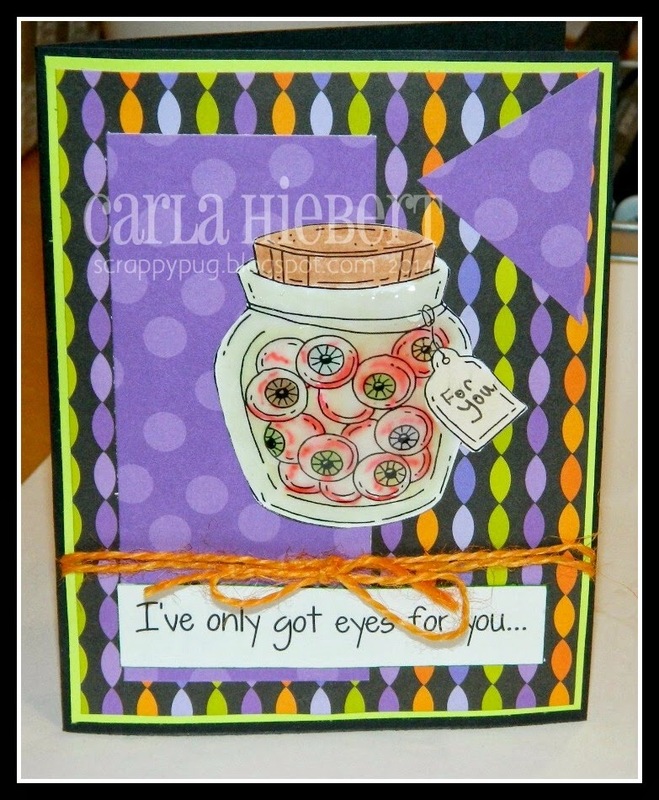 I hope you will join us in thanking Carla at her blog today! We have two of the LOC Crew up next today! 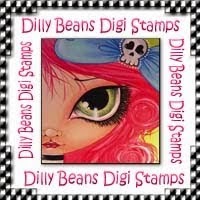 Firstly we have Jo who is using a Dilly Beans image. 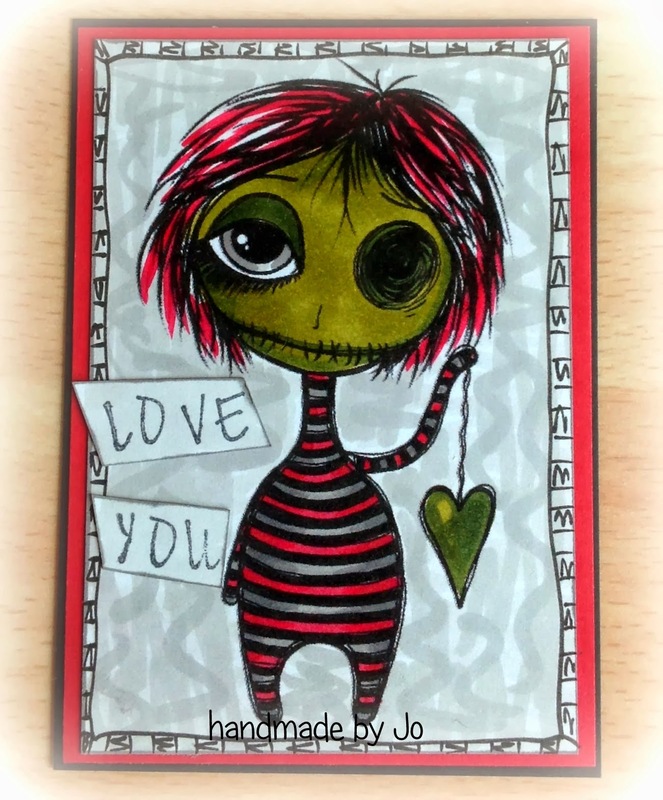 Jo is quite new to the Crew and we hope you will visit her blog and leave her some love today! Thanks for creating this ATC! 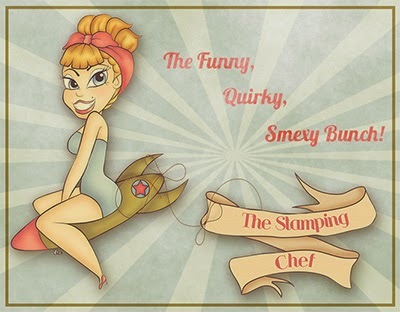 Samara is our newest Crew member and only joined us just last week, here she has used an image from The Stamping Chef. 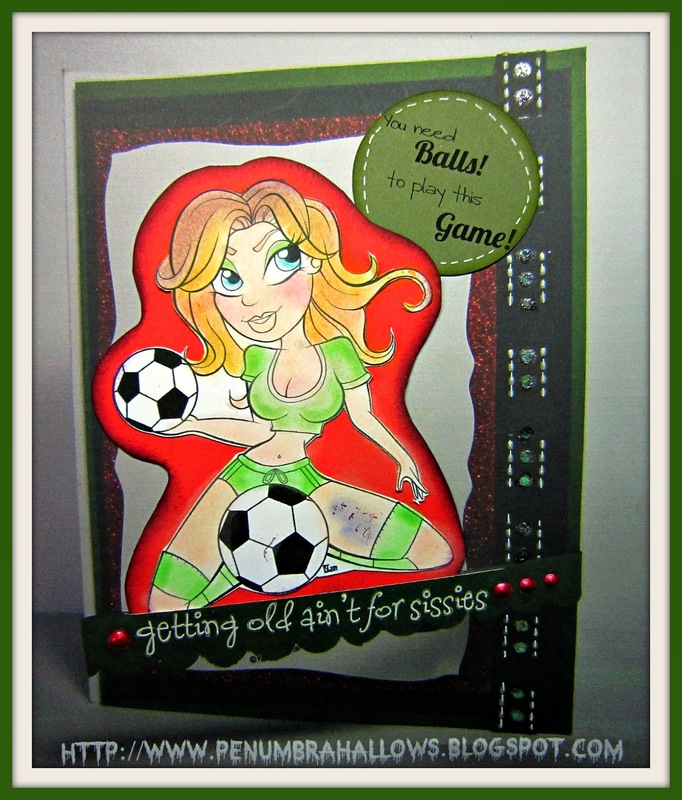 A big thank you to Samara for another fabulous project - here's her blog link! I hope you all are excited to see the last week of this Anniversary Event! You dont have long now to get your entries in and remember you can enter 5 unique projects! And remember our GIVEAWAY on yesterday's post! Great cards and ATC on display today. Three wonderful digital stamp companies represented.